“One day I want to be a big business woman, with an office at the top of a huge tower.” I declared to my friend. I was only 16 back then. I didn’t know how I was going to do it but I KNEW I would somehow do it. I started blogging back at the end of 2012. 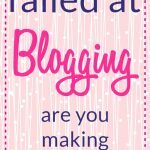 Although my goal was to earn money from blogging, I DID NOT have a solid plan on how I was going to do it. I made TONS of mistakes from 2013 till 2016, mistakes due to which I paid a heavy price because I did not use blogging to its full potential. But, thankfully in 2016, THINGS CHANGED. How? Read on to find out. 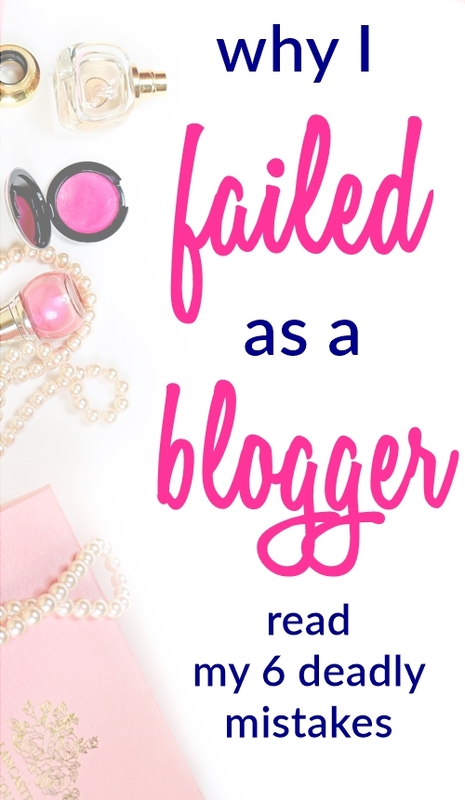 Before I tell you how I finally managed to increase my page views and income, here are some of the DREADFUL blogging mistakes I made. When I started blogging, I had ZERO focus. I just started a random blog on WordPress.com and filled it up with some REALLY pointless, random posts like my “fashion drawings”, “Friday faves”, “clay bracelet tutorial” etc. etc. I didn’t know who I was writing for, what I was supposed to write, how often was I supposed to write, etc. etc. Which obviously had it’s side effect because NO ONE was interested in reading my blog. It was such a huge misconception because the truth is no one cares about YOU unless you’re a celebrity. People want GREAT content, something that will solve their problem, something that will make them laugh, something that can inspire them. I only learned this in 2016 through Elite Blog Academy, and it made me realize WHY my blog wasn’t succeeding, and that’s because; CONTENT IS KING. It was an AHA moment for me. To start a money-making blog you NEED to read some books and join expert-taught courses as the books and courses give you a complete plan and make the blogging process easier and shorter. 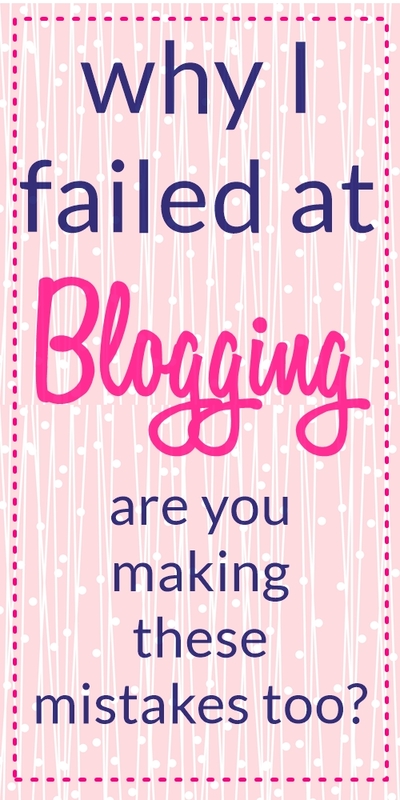 I did NEITHER of them, which is why I was completely lost in the blogging sea, doing everything without getting anything out of it for THREE years! At that time I thought linky parties were a great way to increase page views. So, I started my own linky party. But, guess what? It only works if you’re among one of the top bloggers, because who wants to party at a place where there’s no crowd? Duh, no one. Hence, this was again a huge failure for me. The time required to run and set up a linky party is A LOT! Gah, how I regret wasting SO much of important time on setting up my linky party, sending invites, when I should have been doing ONLY ONE THING, which is writing quality content. Features are great IF your content is great. But, I was so naive I couldn’t even figure that out. So, I was spending all my time in tracking down the e-mails and contact info of all the popular bloggers to send them the request of featuring my projects with ugly, grainy pictures. Result? Never got featured anywhere! Duh. Another failure with more time wasted on useless stuff. They don’t say “everyone loves to look at beautiful pictures” for no reason. IT REALLY IS TRUE. Dark and dreadful pictures act as repellents, I swear, which nobody wants to even look at. This eventually turns the readers off and they plan to never return to the blog again. Don’t repeat these mistakes and waste your time as I did for THREE years! I feel devastated thinking of ALL the money I could’ve earned, all the success I could’ve achieved IF I started on the right foot. It’s just SO SAD. But, on the other hand, I’m also grateful for the fact that I learned from my mistakes and decided to take up THE best blogging course – Elite Blog Academy, which CHANGED my blogging journey FOREVER. It gave me the EXACT formula I needed to quickly set up and run a profitable blog, the exact plan needed by EVERY blogger who wants to quickly set up a money-making, highly profitable blog. After I started working on my blog as taught on EBA, my traffic grew sporadically ALONG with my income. Below is a screenshot of my page views from Jan 2015 to Dec 2016. I have marked the important months which changed everything using arrows. You can see that my traffic for the entire 2015 was almost the same throughout the year, but THANKS to EBA, 2016 was FINALLY a different year. With the change in traffic, my blogging income changed as well, and thankfully now, I’m finally seeing the results that I had only heard from other bloggers. My income increased from $300 to $900 in FOUR months and since then, it’s been on a rise. 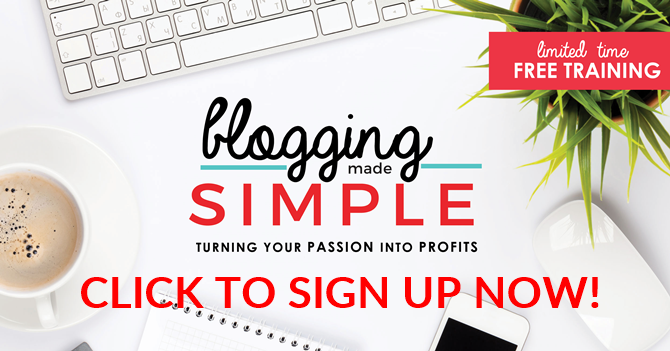 Don’t repeat the mistakes I made, sign up for Elite Blog Academy today. THE MOST comprehensive blogging course that has helped not one but HUNDREDS of bloggers in earning a full time blogging income in less than a year. EBA is the course that helped me in increasing my income from $300 to $900 in FOUR months! EBA is the course that showed me step-by-step how to build a successful blog. EBA is the course that helped me increase my 2016 blogging income by 57%! EBA is really THE BEST blogging course out there. And I’m not the only one who saw such great results, there are SEVERAL other bloggers and you can read their stories on EBA‘s main page. The registration for EBA is currently closed, but it will be opening at the end of February for JUST ONE WEEK. Join their waiting list to get notified about when the course opens! Don’t want to take the course this year? It’s okay, take this FREE blogging made simple mini-course instead, by Elite Blog Academy to get the basics about starting a profitable blog. It’s totally FREE AND FULL of gold blogging nuggets. I can see myself getting ONE step closer to my dream. You can too, with just a little investment of time and money. So, join the Elite Blog Academy waiting list now and get closer to achieving your dreams. Pin this image to refer to this post later. O yes!!! Finally, met you – an EBA alumni. I am on the course this year- Still going at it. Only up to unit 3 now-which requires me to overhaul my website and editing my old blogpost. So inspiring to see how you make it through. I hope to be succesful as you too as I finish this course. I am implementing what I learn and already seen the same mistake as you did!!! LOVE EBA so far. Really got me focused and rethink about blogging.